Savitri Devi lives in Maana village, in Bageshwar district of Uttarakhand at the lower foothills of the Indian Himalayas. Following the tradition of the community she belongs to, Savitri was married off at the young age of 12 years to Darpan Singh, who earned a living as a daily wage laborer. At that young age itself, Savitri had started sharing the responsibility of the household, the farm, and was also working as laborer along with her husband. The Boras are traditionally yarn spinners. Savitri Devi and Darpan Singh also worked as spinners for an enterprise that unfortunately stopped providing work so their income stopped. And the expenses of their growing family were met with difficulty. Then Avani in 2005 came to their village raising awareness about income opportunities in wool spinning for the social enterprise. 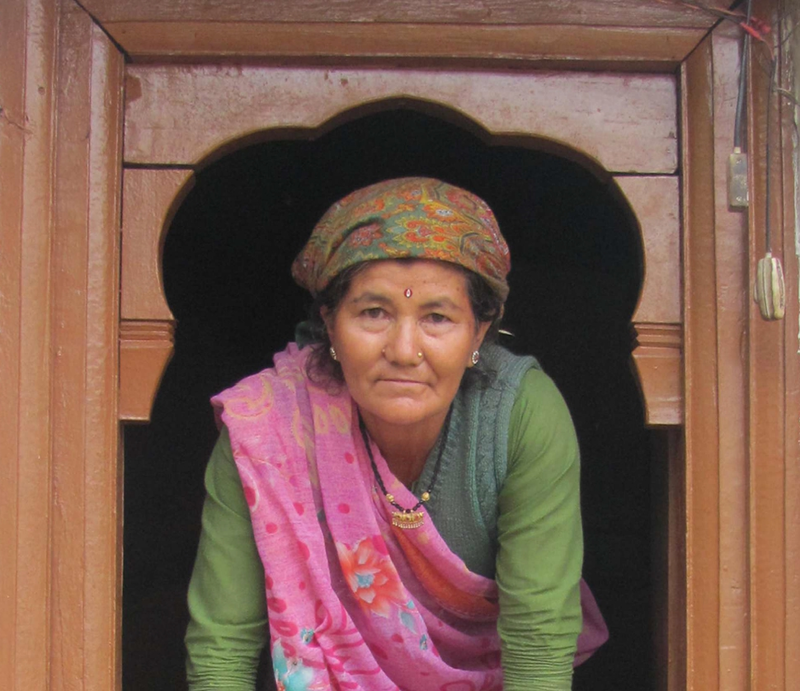 Avani is devoted to generating income for hill people using only local skills and local, environmentally friendly materials. Avani’s primary focus is on sustainably harvested and produced tints, dyes, textiles and garments. Savitri and her husband were the first from their village to join Avani as spinners. It was 2005 when Savitri started spinning for Avani. Today, she is a loyal and dedicated member of the Avani organization and an example to many other women in her community. Thanks to her job and income Savriti has shown tremendous development, as a person, farmer and artisan. Avani and Women on Wings are partnering since 2013 on growing the organization with the aim to co-create more employment opportunities for women in Uttarakhand.